When it comes to furnace installations and furnace repairs, we take pride in providing our Windsor area customers with superior service. Our service technicians are knowledgeable and highly trained experts with vast HVAC and furnace experience. We have the skills to offer you exactly what you need and to make recommendations that will suit your lifestyle the best. All your questions will be answered thoroughly. We explain everything so that you won’t feel like you’re being left out in the cold. All of our work is guaranteed. Our guarantee applies to more than just our work. We recommend and install heating equipment and furnaces from only the best manufacturers with proven records for quality. Harris Heating technicians continually keep updated on the latest equipment and technology. We can expertly install and maintain a large range of heating equipment, furnaces and heating accessories. We provide furnace repairs to most makes and models in the Windsor region. If you are experiencing problems with your furnace system, or find that it is not operating efficiently, call us immediately. You don’t want to be left without heat during one of our frigid Windsor seasons. 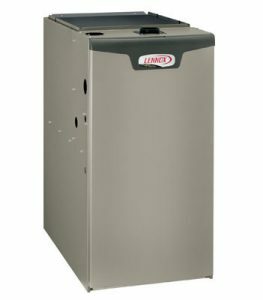 Any furnace system that is failing or not operating properly can result in higher costs if left un-repaired. Our staff will help you understand just what went wrong, and the best way to fix the problem. If we find any other concerns, you will be fully informed and we’ll make recommendations that will get you the most for your dollar. We also have emergency service for furnace repairs available to Windsor area homes and businesses. If you find yourself without heat, we will respond to your call immediately. Emergency repairs will be completed efficiently and professionally, and at a cost you can afford. Maintaining your furnace, heating system, or heating accessories can prevent breakdowns and costly repairs later on. We recommend yearly maintenance prior to the beginning of the season. If you wait too long, your system could be running inefficiently, resulting in higher utility costs and contaminated air including carbon monoxide emissions.